Follow these tips to help prepare for high winds and freezing temperatures this winter. Roofs should be inspected regularly for loose slates/tiles and poor guttering. 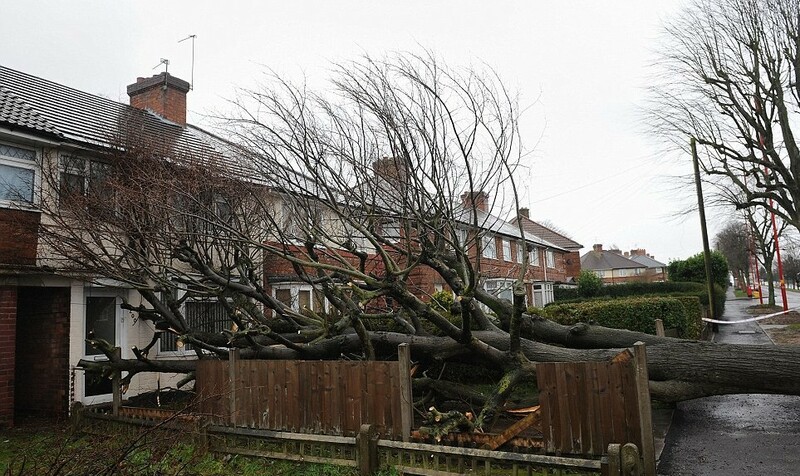 Trees should be maintained and dead/vulnerable branches should be removed. Outdoor items such as patio heaters, furniture, barbeques, bins and animal feeders should be secured or securely stored. Gates, doors, sheds and fences should all be closed and locked. Contact Clearys Loss Assessors on 1850 28 1850 to register any claim for damage and any discuss repair work required. Do not re-enter structurally damaged buildings until advised that it safe to do so. A burst pipe in your attic, if unaddressed, can be as devastating as a flood through the front door. 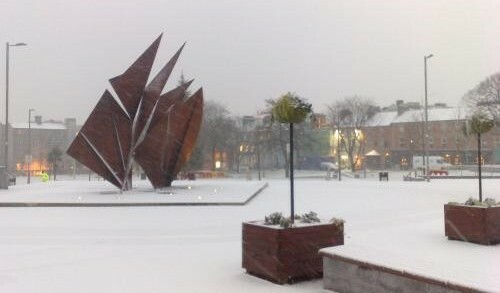 It probably represents the greatest risk posed to your home by freezing conditions. Freeze thaw action can also cause structural damage. Lag/insulate outdoor pipes, attic tanks and supply pipes. If a property is unoccupied, the water should be shut. Run the hot taps to drain the attic tank. If your home is unoccupied for any period during cold weather, leave the heating on to protect pipes from freezing and bursting. Open the attic door to allow heat into your attic. This helps to prevent the pipework and tanks in your attic from freezing. Leave the underside of the attic tank un-insulated to allow warm air to reach the tank. Turn off the water supply immediately. Turn off water dependent appliances including your boiler. If the water leak is from the attic/above ceiling level, turn off the water supply and turn on all hot taps to drain remaining water out of attic tanks as quickly as possible. Engage a professional immediately to stem any flow and make repairs to prevent further damage. Report the incident to Clearys Loss Assessors immediately and do not effect any permanent repairs until all damage has been assessed and repairs are agreed with us. If appliances are affected, turn off the power at the mains board if safe to do so. Retain all damaged material as it may be crucial to establishing the nature of loss, assessing damage and validating your claim. 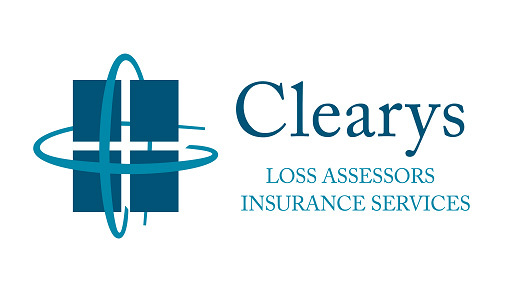 Contact Clearys Loss Assessors on 1850 28 1850 to register any claim for damage and to discuss repair work required. Ventilate, gently heat and dehumidify the property. Do not re-engage utilities until they have been checked by a competent and qualified professional. What you should do if your property is affected by frost damage. Frost damage is one of the risks of property ownership that many people overlook. Of course, if your property is well constructed and you live in a temperate climate, you probably don’t have anything to worry about. But even so, the last few winters in Ireland have been especially harsh with more and more incidences of frost damage occurring. So what should you do if your property suffers from frost damage? The most detrimental side effect of frost damage is burst water pipes, especially underground pipes. Not only can this lead to further problems such as high water bills, but there is no way of telling where the burst is or how bad it is without the help of some expert professionals, so it pays to be prepared. As a preventative measure, you should ensure that your property is adequately insulated, especially the roof. You should also consider insulating the walls. 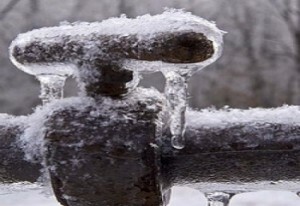 In the event of frost damage, it is vital that you turn off all taps completely, as drips can freeze and block the pipe, adding further hold-ups and possibly damage. Also ensure that all stop taps and valves have been switched off or closed. Next, you should thaw any exposed pipes by placing a cloth soaked in hot water over them, or alternatively, a filled hot water bottle. Do your best to keep the property warm; use electric heaters if you have reason to believe your heating pipes may be damaged from the frost also (although this is unlikely if the heating been used recently). The next step is to contact an underground leak detection professional who can search for any inaccessible pipe damage. At this point, you should also contact a loss assessor who will visit the property, gather records and make an inventory of damage, estimating the amount of losses as a result. Once the loss assessor’s survey is complete, you can submit an insurance claim and commence repair works; however, be sure to keep records of what repairs are carried out and all details about them, as this will aid your claim. Once any damage has been repaired and your insurance claim has been processed, it is worth investing in pipe insulation to avoid a repeat occurrence. This is best done after the adverse weather has improved so it can be completed without delay and will not have any further impact on your property.